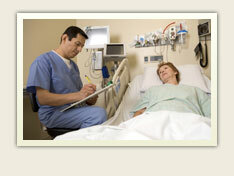 Residents in Portland and the surrounding areas must trust in the care of their healthcare providers on a daily basis. This can include physicians, surgeons, nurses, pharmacists, therapists and more. Most of the time, such trust is warranted but the rate of medical errors does suggest that negligence occurs more frequently than people would like to think. Hospital liability or medical malpractice lawsuits can be filed in such situations, offering victims and their family members some hope of compensation. A family in California is in such a situation currently over the death of their 80-year old relative at a local hospital. However, their case has taken some unusual turns and they have withdrawn their original lawsuit and filed a new one based upon new evidence that came to light during the first case. After suffering a heart attack, the woman was declared dead and her body was placed in the hospital morgue. Morticians later found her with bruised and cuts on her face and her nose broken. The family filed a suit claiming that her body had been improperly handled. During the initial case, a pathologist indicated that the woman’s body had been handled properly but that she had actually been alive when put into the morgue. Her injuries are believed to have resulted when she woke up and tried to free herself, unsuccessfully. The family has now filed a medical malpractice suit against the hospital. This suit was originally barred by a lower court because it was filed after the statute of limitations had run. A Court of Appeals has overturned that, however, because the full nature of the case could not have been known earlier. While this may seem like an extreme situation, the reality exists that medical errors or acts of actual negligence can and do happen. Anyone who believes they have been a victim of a medical error could get help by talking to an attorney to fully understand the options.